Well, not exactly. Each year we head into the September trade show and when it’s all said and done, we are midway thru the DeeVees. So this year we are going to start thinking about them a little earlier. As you mill around at EPCOT, waiting in lines to trade your vinylmation, please ponder a few things. What new categories would you like us to include in this year’s DeeVees? Ponder that for a bit, and then send us an email, or write on our Facebook page, and we will take it into consideration. 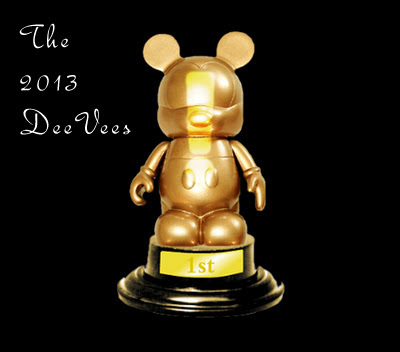 The DeeVees a fan award, so we always enjoy input from the fans!